The Czech Republic (pop. 10.5 million) is situated in the heart of Central Europe and is bordered by Germany, Austria, Poland and Slovakia. The capital city is Prague (pop. 1.27 million) and the country is made up of three historical regions: Bohemia, Moravia and Silesia with Prague, Brno and Ostrava respectively the largest and most important cities in these regions. Previously known as Czechoslovakia until the ‘Velvet Divorce’ with neighbouring Slovakia, the country changed its name to the Czech Republic on 1.1.1993. In September 2016, the Czech Government approved the name of ‘Czechia’ as an English one word alternative for the Czech Republic. The country covers an area of 78,866 km2 (30,450 square miles), a size similar to that of Austria and Ireland, while it would fit inside France seven times. The climate is temperate and typical for Central Europe, with warm dry summers and cold winters. The currency is the Czech Koruna (CZK) and although a member of the European Union, it is not currently a member of the eurozone. Although there are fee-charging private schools and universities, state funded education in the Czech Republic is free. This includes university study, which is also free providing subjects are delivered in the Czech language. In 2016, the Global Peace Index ranked the Czech Republic as the sixth safest place to live on earth due to the low crime rate and lack of domestic and international conflict. Typical summer temperatures vary between 20°C to 27°C (70° -80° F) although it’s not unusual for temperatures to reach the mid-30s (around 90°F) in July and August. Snow is common in winter, with temperatures dropping as low as -10°C (14°F) in some regions and even colder in the mountains. The Slavonic language of Czech is the primary language, which belongs to the same language group as Slovak, Polish, Russian and Croatian. Prior to the Velvet Revolution in 1989, Russian was compulsory in schools and is still spoken by the older generation, although given its association with the Soviet invasion of 1968, many prefer not to use it. German is fairly widely spoken and until the mid-1990s competed with English as the international language of business. 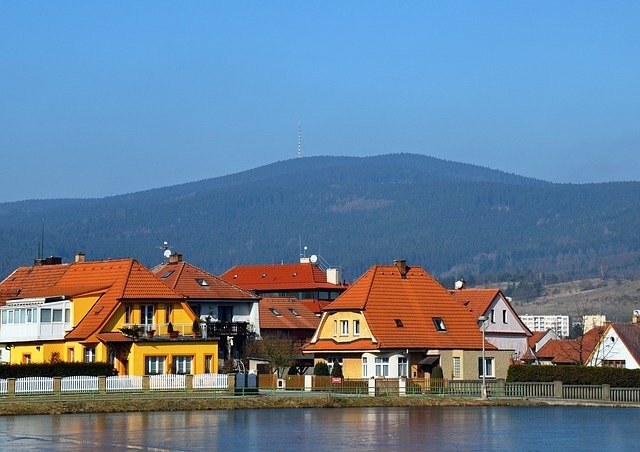 It is not unusual to hear German spoken in towns and villages close to the German and Austrian borders, a hangover from the post-World War II Sudeten Land dispute. English has been taught in schools and universities since 1989 and the benefits of this are now coming to fruition with English widely spoken in Prague and other major cities with large expatriate populations. In smaller towns and villages it is still relatively rare among the older generation, but popular with the younger generations through compulsory teaching in schools and its pop culture influence. Czech domestic culture revolves around the family and this takes precedence over social life. Universities and colleges close their dormitories at weekends so students can return to their families rather than stay on campus. Particularly in small towns and villages, Czechs prize practical skills above ‘soft skills’ with trades passed down the generations. They have a strong work ethic and often feel the need to be doing something practical around the home, even when not called on to do so. Many houses are known as ‘family houses’ and accommodate two or more generations of the same family. Roles are clearly defined, with men typically taking on the traditional role of breadwinner and practical tasks, while women are expected to prioritise childcare over work. This is surreptitiously supported by the state with generous maternity benefits (up to four years maternity leave per child). The downside to this is the struggle for equality in the workplace, which is reflected by a gender pay gap that lags at 6% behind other EU countries. In general, Czechs tend to be reserved and can appear distant until they feel comfortable. This trait is reflected in the language, which uses formal and informal forms to address people. Convention dictates that the woman, an elder or a work superior offers the informal form of address. The formal form of address is also used to show respect. For example, a prospective daughter-in-law will formally address her future parents-in-law until after the wedding when the convention is dropped. However, foreigners without a strong grasp of the language are not expected to follow formalities. The Czechs are proud of their language and its perceived difficulties (the U.S. Foreign Institute ranks it the second most difficult language to learn) and tend to revel in their ability to master it. Since the fall of communism and the influx of multi-national corporations, the work culture in the main cities of the Czech Republic has gradually shifted in line with western style culture. Initial business meetings are formal affairs with standard business dress worn and business cards exchanged. Czechs are polite and non-confrontational and sometimes what may appear as hesitancy is a form of politeness or an indirect way of saying no. Turning up unexpectedly or ridiculously early for a meeting is considered a major faux-pas. Academic titles such as Doctor or Professor are used at work both as a form of address and in written correspondence, including emails. Meetings are expected to start on time and it is not uncommon for an associate of the decision maker to lead the meeting in the early stages until trust has been established on both sides. Many small and medium size Czech businesses prefer to explore the possibility of ‘business cooperation’ rather than a straight buyer/seller arrangement as they feel this strengthens the prospect of a long-term relationship. Job titles are considered as a source of prestige but do not always match the level of responsibility, as particularly in medium-size and small companies, all major decision making often lies with the top executive. Email is often the preferred form of communication when communicating in English. This gives the recipient time to fully digest the message rather than facing the on the spot language challenges that unexpected phone calls can create and thus leads to clearer communication. Business jargon and the use of slang should also be avoided and replaced with short concise sentences. Working hours are similar to Western Europe with 40 hours per week being the norm. Standard holidays are 20 days a year plus 11 fixed public holidays, which unlike in the UK and USA, are always taken on the calendar day they fall on, even if on a weekend. Upon the first introduction, a firm handshake is expected from both men and women along with the appropriate greeting for the time of day. The question, ‘How are you?’ is frowned upon when making introductions, as it can be viewed as intrusive by the recipient. General small talk usually follows initial introductions. A bottle of wine and/or flowers are deemed to be the ideal small gifts when visiting homes and are always appreciated. Visitors are also expected to remove their shoes when entering a home and often the host will provide ‘guest slippers’. Office staff also tend to change their footwear when arriving at work and it is not unusual to see administrative workers wearing sandals in offices and corridors. Dining conventions generally follow those in the West. Immediately removing the guest’s plate as soon as they have finished, even if others are still eating, is seen as polite and good service. Complementing the chef and accepting a second serving is highly appreciated. When in a restaurant, it is polite to tip by rounding the bill up to the nearest 50 CZK or 100 CZK. Diners are also offered the choice to pay for their meal separately or together. Although tips are not expected in pubs, cafes and bars, many patrons will tip the staff a few korunas when settling the bill. Overly extravagant tipping is regarded as culturally ignorant and may embarrass the serving staff. The cost of living in the Czech Republic is cheap, with the average monthly salary currently at 26,287 CZK (£870), while salaries in Prague are usually 30% higher than in the rest of the country. As expected, the cost of living in Prague is the highest in the country. A one bedroom flat in the suburbs of Prague can be rented for around 18,000 CZK (¬£595) per month with utilities coming in at around 1,000 CZK (¬£33). Once outside Prague, prices drop dramatically and in other towns and cities, similar properties can be found for up to 50% cheaper. American and Western European expatriates are perceived to be much more highly paid in comparison to the local population. This can sometimes result in their being overcharged for some services such as taxis and accommodation, although successive governments have taken steps to stamp out this practice in recent years. Relocating from an EU country is relatively straightforward, although new arrivals must register with the Alien and Border Police within 30 days. Expatriates from outside the EU must obtain a visa for stays of up to 90 days within which time they can obtain a work permit (renewable annually) from a local employment office. This is usually taken care of by their employer. To work as self-employed, a trade licence must be obtained from the local employment office before commencing and receiving payment for work. There are many agencies in Prague who will arrange the required paperwork for a reasonable fee. Once issued, ID cards must be carried at all times and presented upon request by state officials. Driving in the country is in on the right and there is a zero tolerance policy towards drink-driving. Unfortunately, the Czech Republic has one of the highest death rates in Europe on its roads, with a figure 2-3 times higher than in the UK. Drivers can also expect to be stopped at random police checks in towns and villages and must produce their ID (or passport), driving licence and all documentation for the vehicle. All vehicles must carry a government-approved first-aid kit or face an on the spot fine. Healthcare is relatively cheap and wide-ranging. As a result, the country annually receives thousands of ‘health tourists’ who take advantage of the high-quality care at a low price. Although private health plans are available, the majority of Czechs and expats opt for public health insurance through monthly payments to a public health insurance company. Full cover for care within the Czech health system, including dental procedures and prescriptions, averages 3,000 CZK ($120) per month and payment is deducted from gross salary if employed or paid direct if self-employed. 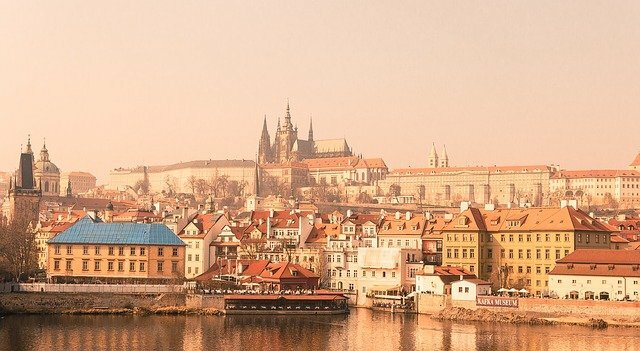 Working in or planning to move to the Czech Republic? Kwintessential can help with any language translation needs you have. We have fluent translators for Czech, German and Russian depending on which area you’re visiting. Get in touch for more information and a no-obligation quote.